The SpikeSafe™ 2A Performance Series Current Source (PRF) supplies precision DC, continuous pulse, and single pulse current with excellent pulse fidelity. 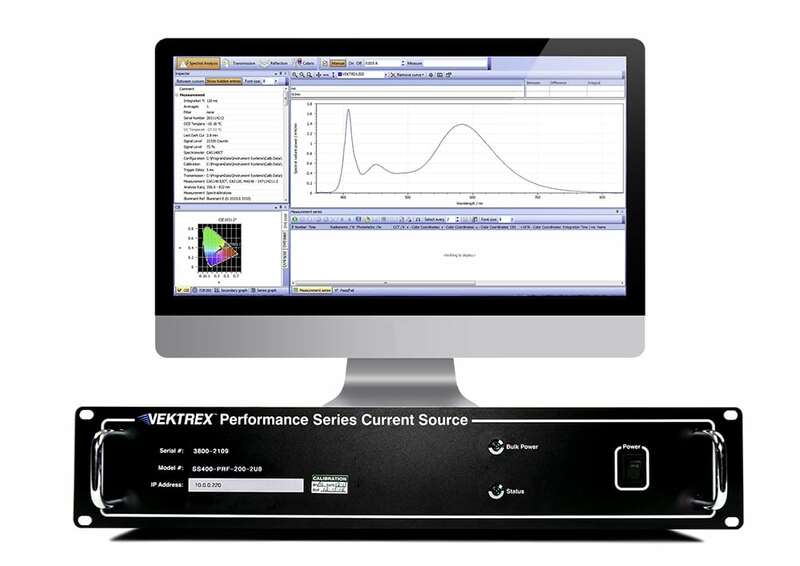 Output pulses have microsecond rise and fall times – key to precise LED photometric and electrical measurements. A precision hardware-controlled timing system supports pulse widths from 10µs to 15000s. Programmable load tuning alters the SpikeSafe current regulator response to compensate for load conditions, cable impedance, and length. Hardware triggering ensures measurement repeatability. Continuous power conversion technology means no duty cycle or pulse width limitations. The 2A PRF supports compliance voltages up to 100V with an internal power supply or voltages up to 400V with an auxiliary power supply. 2A 37.6V Precision Pulse with 1.32µs rise time.